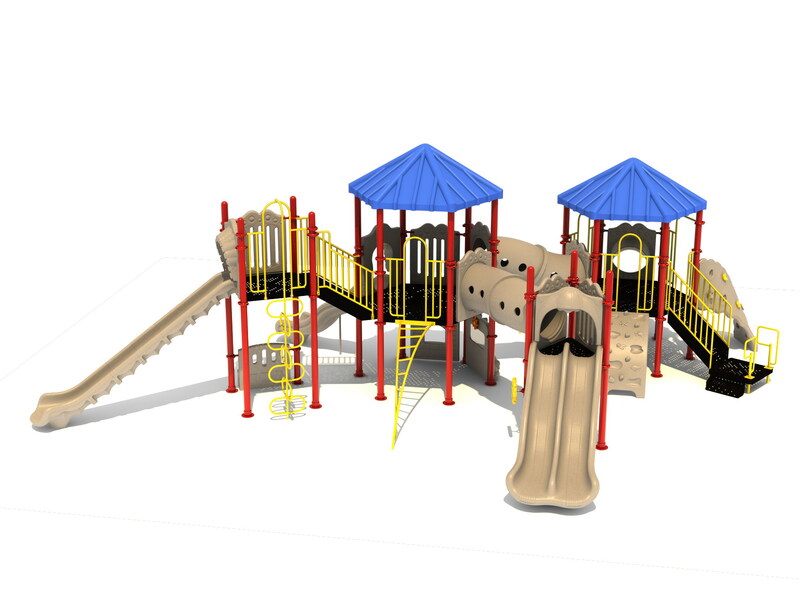 When looking for a structure that a large amount of children can play on at once, the Augusta play system is a great place to start. This large unit features four decks that are connected by a series of stairs and crawl tubes. 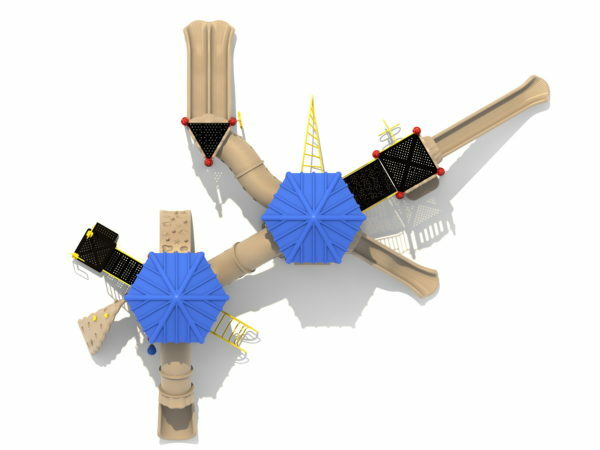 The crawl tubes feature lookout holes for kids to explore while climbing. Each of the four decks also features a different type of slide. The four types of slides are a double slide, straight slide, wave slide, and a straight tube slide. Roofs cover the two larger decks, providing a shady place to rest and play. Several climbers keep those bodies moving. Climbers included are an inverted arch climber, double loop climber, twisted ladder climber, arch panel climber, and a twisted rock wall climber. Other fun elements of the Augusta play unit are a car panel, bench panel, storefront panel, and a ship’s wheel. This unit is designed for ages 2 to 12 years old. The Augusta has virtually everything you would need for all ages! This is a special order item so customize it in any color or add and delete activities to make it the way you want it. It is out of the Maximum series and built sturdy with 4.5 inch posts. Lots of climbers and slides and two HUGE Hexagon Decks! 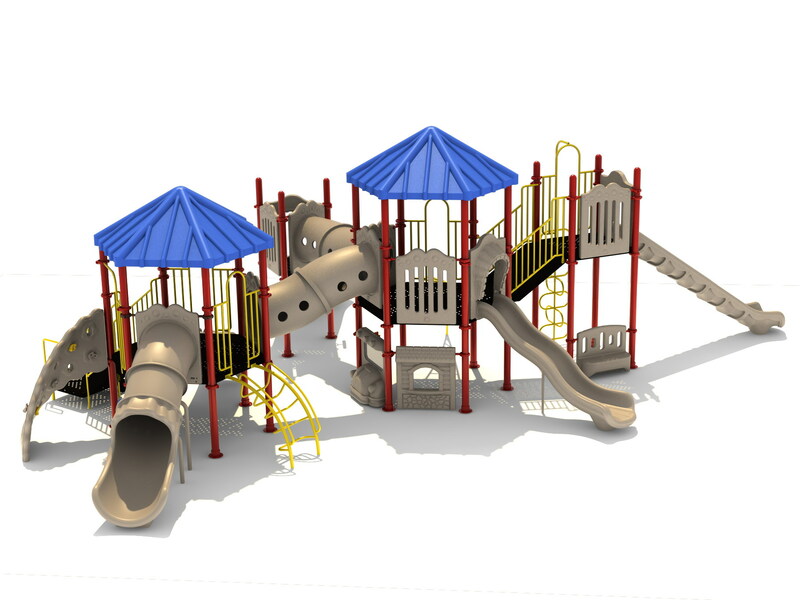 Play Set Dimensions – 34' 6" x 38'11"
Safety Zone – 46' 6" x 50'11"
Critical Fall Height – 84"